What should I fill the counterweight bags with? Due to shipping restrictions, Chimera Light Boom Counterweight Bags are delivered empty. They are sized to hold 15 pounds of lead shot as counterweight. We have had success with 5, 6, or 7 gauge lead shot, available from many sporting goods stores that carry hunting supplies, or found online. We have not had as much success utilizing sand in the counterweight bags, as it is less dense than the lead shot and may not provide enough weight. Using a plastic funnel the counterweight bags can easily be filled. 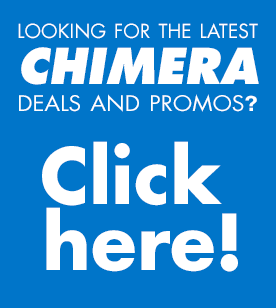 https://chimeralighting.com/wp-content/uploads/2017/08/chimera-lighting-logo-copy.png 0 0 Chimera Lighting https://chimeralighting.com/wp-content/uploads/2017/08/chimera-lighting-logo-copy.png Chimera Lighting2017-02-20 15:04:532017-07-03 13:37:49What should I fill the counterweight bags with? Why isn’t there a locking knob on the boom pivot? What is the maximum weight of a Chimera Light Boom?